Springbak Wants To Know – Who Will Win The World Series 2009? 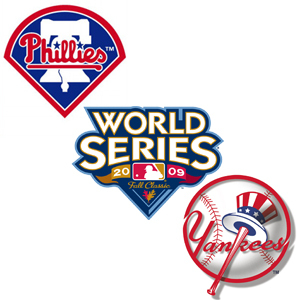 The 2009 World Series is in full swing and we want you to get into the game with us! Join Springbak on Springbak’s Fan Page on Facebook where we are conducting a trivia contest and giving away a pair of Springbak Springsoles! Whoever answers closest without going over, wins a pair of Springbak Springsoles! Responses must be posted to Springbak’s Facebook Fan Page Wall prior to Game 4, which takes place Sunday night, November 1st at 8:20PM. As of this post, Phillies lead the series 1-0. You can get the rest of the series schedule, latest updates and news at www.worldseries.com.